Now you have a chance to live the classic Disney movie. 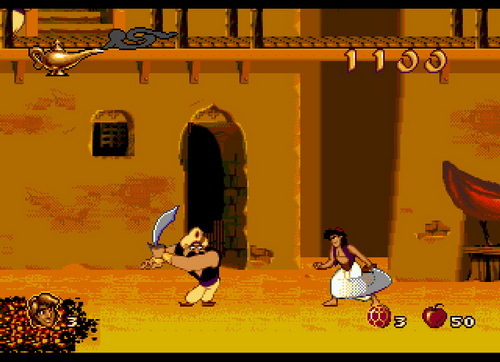 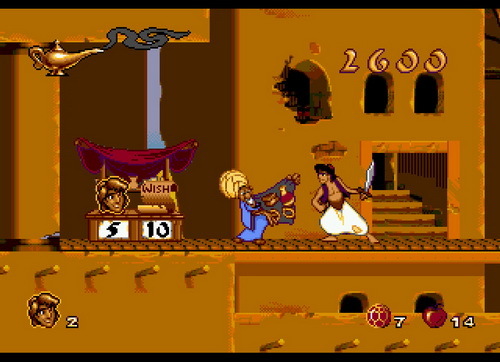 Slash your way through thugs, corrupt guards, and mythical creatures as you try to save Agrabah from the evil vizir, Jaffar. 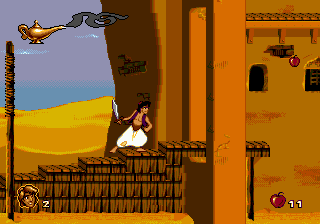 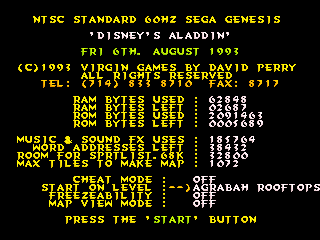 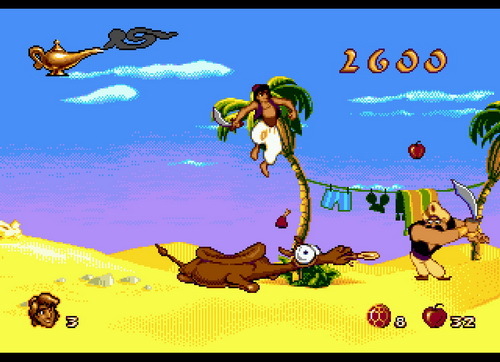 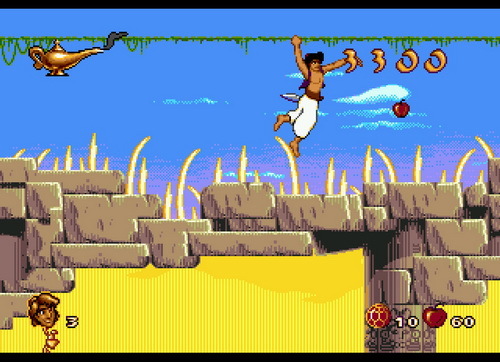 Be careful, games based on Disney movies back then were notoriously difficult. 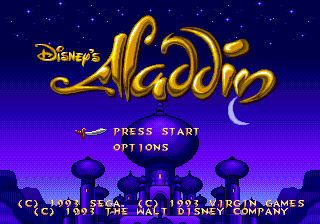 This game is no exception.